Over the course of the year I have been lucky enough to receive a few new aftershaves to try, some through samples, but mainly as gifts from friends and family. While I will write them all up individually, what better time to pick out my five favourites from 2015. While this may be a little late for Christmas gift ideas (er, massively late), the five below are actually perfect and in my opinion timeless, meaning they would be great at any time of the year, and would suit most tastes in one way or the other. Rather than just picking five fragrances from Creed (they are all lush) I've gone for a considered selection, and there should be something for everyone with prices ranging from £35 to "Holy mother of God". Months and months ago I was lucky enough to be invited to the launch of No33, and even luckier to receive a bottle of my own to try. On the night itself I took one long whiff of this and thought, my, that smells just like Acqa di Parma, but after about thirty minutes realised that it’s much better. Yes, it has those top citrus notes that make it smell like Acqa di Parma but it’s like it’s been on crystal meth for a few days – it has an intensity and lasting power that I’ve yet to experience for something with such light head notes. The orange and grapefruit really do make this blend into more of a summer fragrance, but it actually varies over the course of an hour from light, to having a rather warm heart to its final fragrance once it has dried down. Once dried, the Tonka bean provides sweetness not to dissimilar to Eros by Versace but only for a few moments as the amber and tobacco balance it out to leave a stunningly refined fragrance. At £95 for a 100ml bottle this baby isn’t cheap, in fact it’s nearly double the price of Aqua di Parma but it’s so much better making it actually better value for money. I wrote about this back in April after receiving a bottle to try. At £35 for a 100ml bottle this is firmly in the budget category for aftershave in my view but price isn’t everything and you can pick up an excellent fragrance for under £50, as Gruhme EDT clearly demonstrates. The marketing blurb gives an overview of the notes, and like No33, this starts off with light citrus notes, but quickly becomes heavier as the lemon and lavender blend with the peppercorn. You can read the full review of Gruhme here. Personally I have used about half of the bottle as a little goes a long way – and I tend to only wear it when I’m suited and booted in the office. Go on, at £35, you really can’t argue. This is another aftershave that I had seen the advertising for, mentioned in passing to my wife that I would like to try before a bottle mysteriously appeared (cheers wife). I actually wrote about this back in March here and sadly, the bottle ran out just a month ago. At just under £50 for 50ml this is a touch on the expensive side, buy hey, it is Chanel and it’s worth every penny. This and as you’ll read later, Creed Aventus are the two aftershaves I’ve worn this year where strangers have come up to me on public transport (awkward) and in bars (step away, you are slowing down my drinking) and asked what it is because they like it so much. Head: Citrus accord, Vetiver, Pink pepper. Heart: Grapefruit, Dry Cedar notes, Labdanum. Rather than being light like a citrus this feels almost heavy on the skin and it certainly is invigorating, it's like being punched in the nose by someone holding a bunch of flowers. The Vetiver gives it a floral aroma and the pepper ensures that there is no danger of this being mistaken for a floral perfume. That deep body straight away screams that Bleu de Chanel is a man’s aftershave. As the dry down starts the grapefruit heart takes the edge off the floral scent, it does become lighter while retaining the sharpness of pepper. It’s lovely, each stage of the process is, and personally I like smelling it evolve. If you want random strangers wandering behind you and sniffing your neck than this is for you. What they were thinking when it came to marketing this I don't know - you can imagine the real blue sky thinking - we've got an aftershave to market, what will really bring it to life? I know, lets get Johnny Depp digging holes in the desert.......genius (cough, not). Crap advertising aside, I only really said I wanted this after someone asked me what it was like (thanks Tom), and so I badgered the other half for a bottle. I have to say, it is rather good, but it started off so, so badly. My first experience with this was slightly weird, after removing the lid I thought it smelt a bit like cat wee.....yes, fragrant, but not in a good way. Being persistent as I am, I continued and am thankful that I did. Personally I don't think this has a 'radically fresh composition', actually to me it is light, but fresh isn't a word I would use to describe it. It has a deep, warm body that seems to come through from the head through to the dry down, that sweeps between woody and then an oriental spice. It's rather strange that it manages to continue to pump out a warm fragrance while being very subtle to the wearer. While not an aftershave for all occasions I do like this a lot for daywear during the autumn and winter for long nights out. It has staying power that few aftershaves can match and smells lovely ten minutes in, and the same ten hours later. It isn't cheap though, and you can expect to pay upwards of £50 for a 60ml bottle. That said, it's worth it. I think I have probably saved the best (and most expensive to last). While it is simply the best aftershave I've ever wrapped my nostrils around, to buy a 120 ml bottle will require a defibrillator on standby for your wallet - that'll be £215 (f*****g how much?). That said, for the price you are getting one of the most exquisite fragrances around in my opinion. From the moment it leaves the bottle to some ten hours later this oozes class and sophistication, with a subtle fragrance that will have people stopping and asking what it is. This has happened to me at work, on the train to work and in the pub. It seems to catch people from early twenties through to their fifties. However, every time I spray this on I get the (rather tired now) comment "that's another £10 gone". If I had been asked to describe the smell without the notes, I would easily pull out the blackcurrant and bergamot as they give it a rather tart, fruity aroma almost immediately, and the jasmine is clearly identifiable but I could have sworn this had a base of tonka bean for the sweet lingering aroma it leaves, but alas no, that is all down to the vanilla. After learning what was actually in it I have tried so much to try and identify the notes but some simply blend in to give this an incredibly unique fragrance. So, it smells so nice you'll want to lick yourself, it has the staying power of an unwanted guest at Christmas but costs the earth. Well boo hoo, you can't have everything and if I could, I'd have a bottle of this constantly on the go - it's perfect for every occasion. These all come highly recommended from me, and if you get the chance, expand your collection in 2016 and give one, or all of them a try. The Creed one sounds incredible - although it'd want to be for that price!! 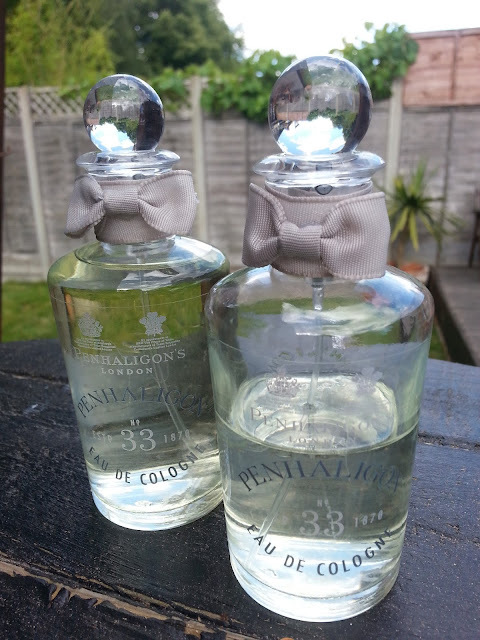 I am intrigued by the use of tonka beans in Penhaligons No 33. Must get some for hubby. It is amazing stuff, although I was creeped out when someone wandered up behind me in a bar and literally stuck their nose into my neck to have a 'proper' sniff! I was just telling my husband (who no longer wears cologne) that I wish he would start again. I will have to check out some of these fragrances to see if any pair well on him! Oh great post and I love the look of the No 33 bottles, gorgeous! 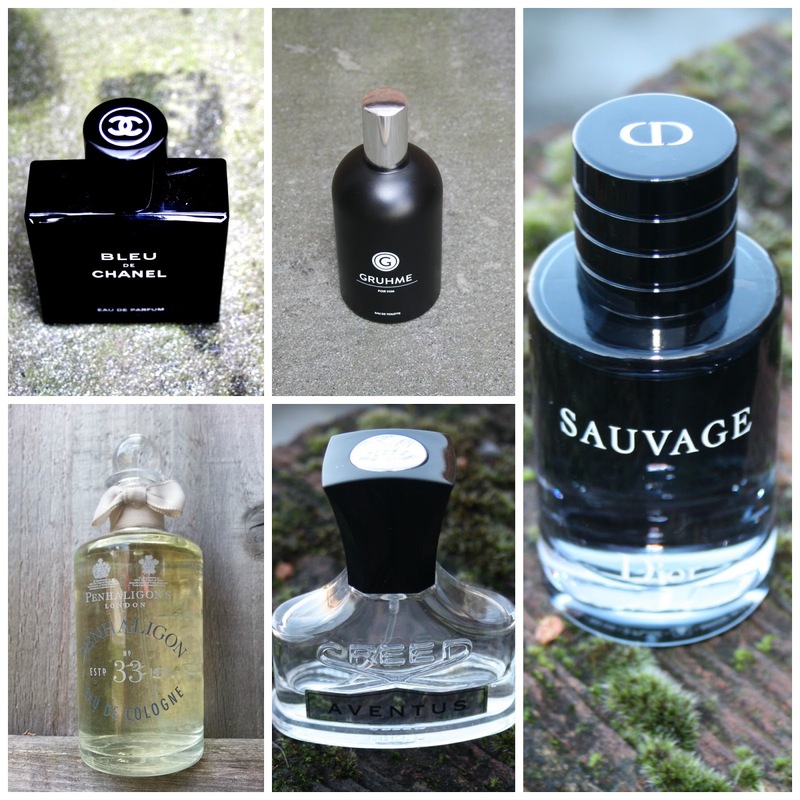 This has been a really useful post, as I am pretty clueless when it comes to aftershave. I also like to see the bottles, which probably sounds a bit bonkers, but aesthetics matter! I REALLY need to get my hands on some Creed perfumes...I've heard so much about them but I've yet to try them! Bleu de Chanel is my handsdown favourite!